All roads lead to Rome. That was what a young girl was told. “But why then have we not reach Rome yet?”, the girl asked her parents. “Soon my dear”, her parents answered. To the girl, Rome sounded so far away but she could already see Rome in her dreams and waited patiently for her to arrive in Rome. As the girl grew, she was still thousands of miles away from Rome. At last, after travelling on the roads for so many years and now no longer a little girl but a carefree traveller, the roads indeed led her to Rome.I believed by now you would have guessed that the little girl is none other than me lol. From the moment that I stepped foot in Rome, I was overwhelmed with emotions that at last, I AM HERE! I fell in love with the city right away, nothing surprising since I have been thinking and dreaming about this place since young. 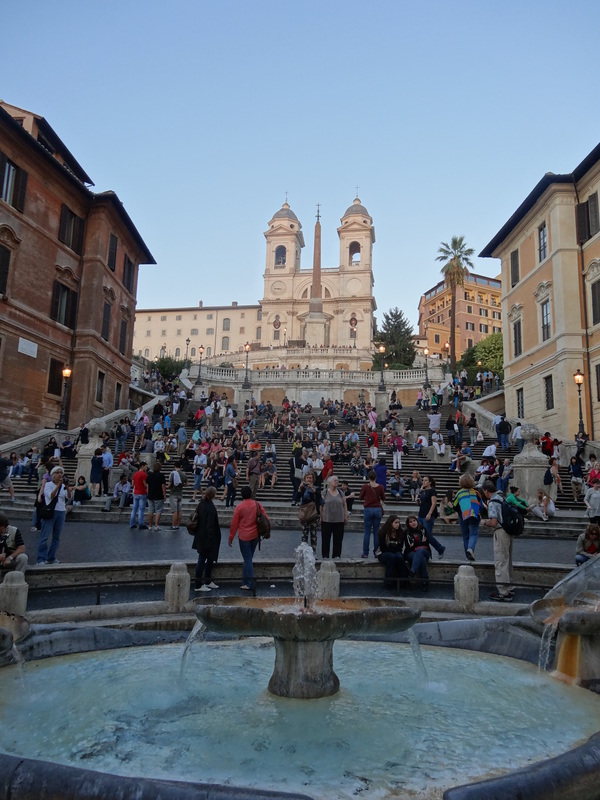 The city is like a big art and architecture museum, with its famous Piazzas (city’s squares) located the city, some majestic and adorned with interesting feautres like a fountain or obelisks, while others are small and picturesque. I roamed around the city, stopping at various interesting Piazzas mostly exhibiting works from the Baroque and Renaissance period such as Piazza del Campidoglio (with a copy of the Equestrian Statue of Marcus Aureliu), Piazza del Popolo, Piazza Navona, Piazza di Spagna (Spanish Steps), Campo de’ Fiori, Piazza Venezia, Piazza Farnese, Piazza della Rotonda and Piazza della Minerv and many others. 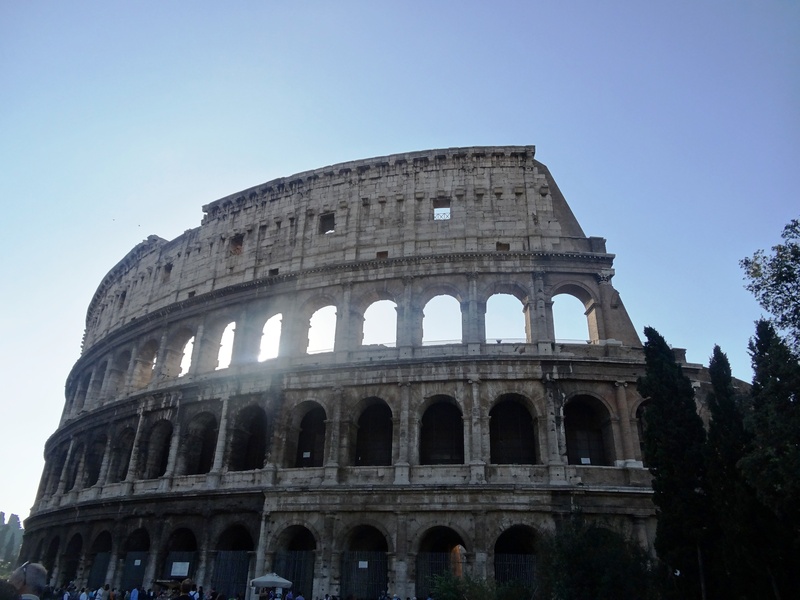 The Colosseum and the nearby Palatine Hill and the Forum are also must see in Rome. As I stepped into the Colosseum, I felt as if I was transformed back in time to scenes from the movie Gladiator. This used to be the place where the public gained entertainment with the games that were held, with displays of exotic animals and of course, the climax being the cruel fights between the animals and gladiators (usually slaves, prisoners or criminals) where it will only end with the death of one side. 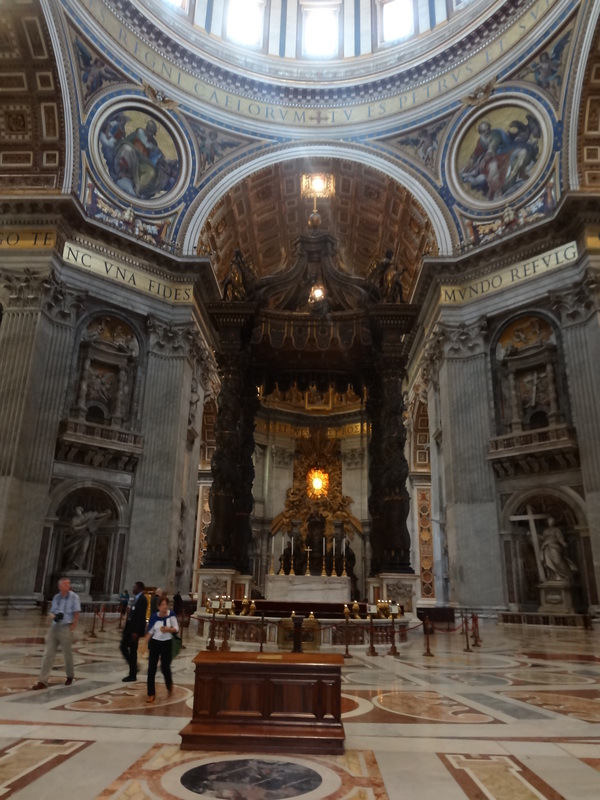 Oh yes, to add on some excitement to my visit, as a fan of Dan Brown’s Angels an Demon novel whereby the main story took place in Rome, I traced the footsteps of Harvard symbologist Robert Langdon in his attempt to stop Illumati from destroying Vatican City. Dashing from Pantheon and St Maria del Popolo for the “Demon’s hole” in search of the Earth Element, and then to St Peter’s Square (West Ponente for the Air element), St. Maria della Vittoria (with Ecstasy of St Teresa for the Fire element), Fontana dei Quattro Fiumi (Fountain of the Four Rivers) at Piazza Navona for the Water element, and then to Castel Sant’Angelo, “Il Passetto” and finally arriving at the smallest state in the world – the Vatican, my “mission” was accomplished. Of course, it was an interesting visit to the “smallest independent state” aka Vatican with its amazing museums (especially the mysterious Sistine Chapel where the papal conclave is held and the beautiful Last Judgment painting by Michelangelo) and the holy St Peter’s Basilica where St Peter was buried right below the basilica, with the top of the dome saying in Latin “…you are Peter, and on this rock I will build my church. … I will give you the keys of the kingdom of heaven… ” (Matthew 16:18-19). 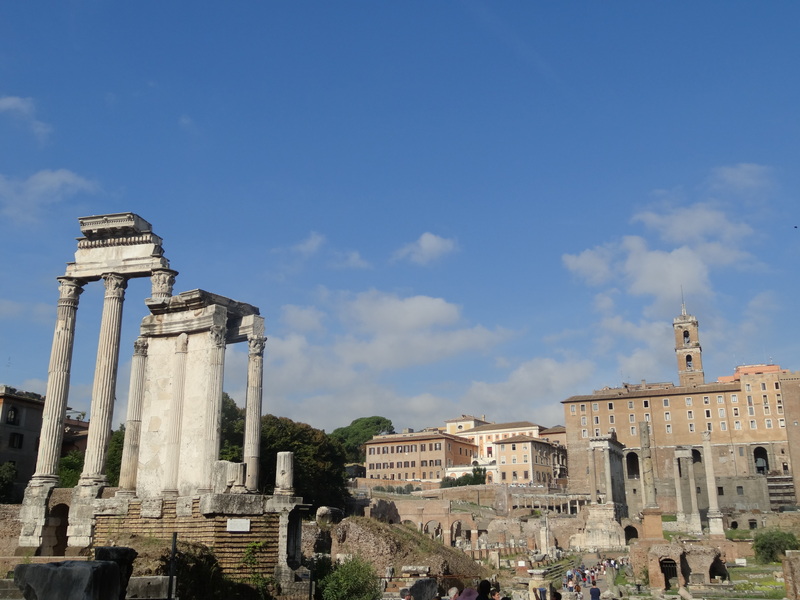 Rome has just so much to offer and for the history geeks or anyone who has some fantasy over the Roman empire, it is a city that will surely captivate you from Day 1. For me, as I was flying out of Rome to my next destination, I was whispering to this beautiful city, “Wait for me, I will be back”. – Beware of pickpockets. You may have heard about this warning many times but this is real. I got a first hand experience while boarding the metro and by people whom I least expected – 3 young teenage girls. As the train arrived, the girls were super helpful to press open the door and asked us to board the train. As we were boarding, two of them tried to block my dad’s way. Sensing that things were not that right, my dad immediately looked down at his poach and saw a hand in the midst of unzipping his poach. My dad immediately grabbed hold of the person’s hand and gave her a stare. She then tried to free herself and afterwhich ran away together with the other 2 girls. 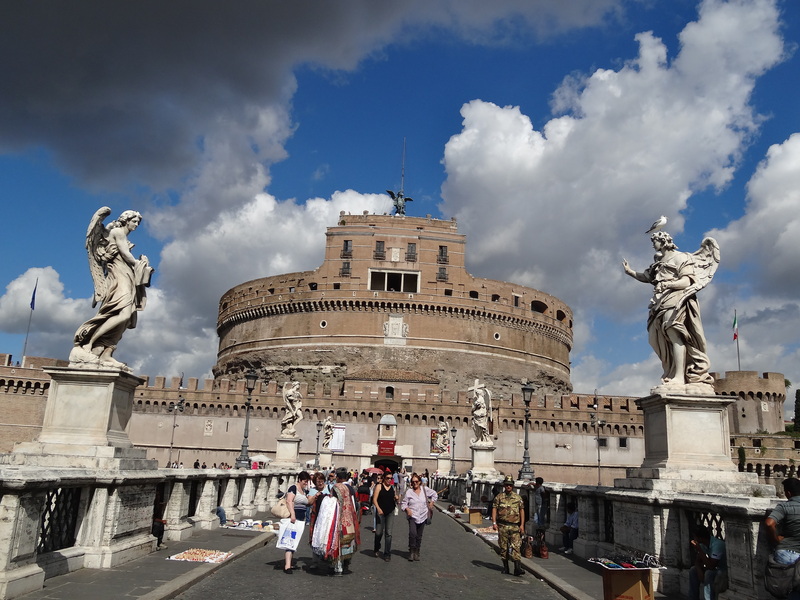 – Pre-book your tickets to Vatican and Colosseum to skip the queue. I know many tours just drop tourists at the outside of the Colosseum for a photo stop and then leave but I feel since you travel all the way to Rome, the inside of the Colosseum is worth a visit. The ticket to the Colosseum includes entry to the Forum and Palatine Hill just opposite the Colosseum as well which are nice attractions. 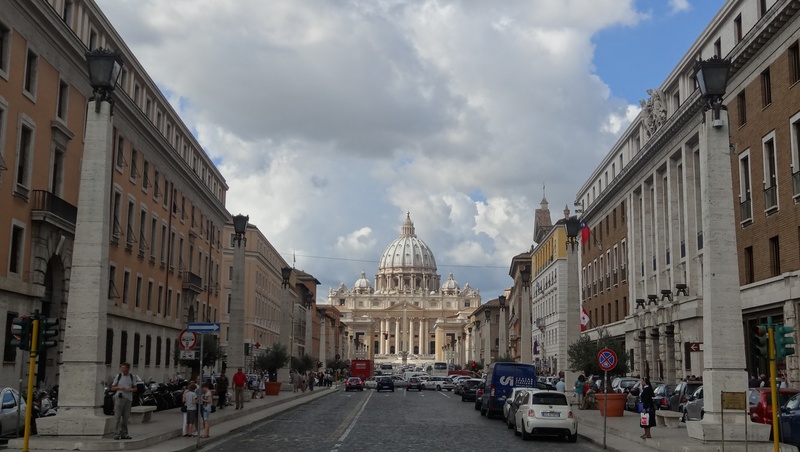 – For Vatican, avoid bringing a big bag or backpack else you will be asked to leave it in the locker at the entrance. This will create inconvenience as the museum tour will end at St Peter’s square and you will need to walk all the way back to the museum entrance at the other side (which is quite a walk)! So just bring a small handbag with you and nothing more. 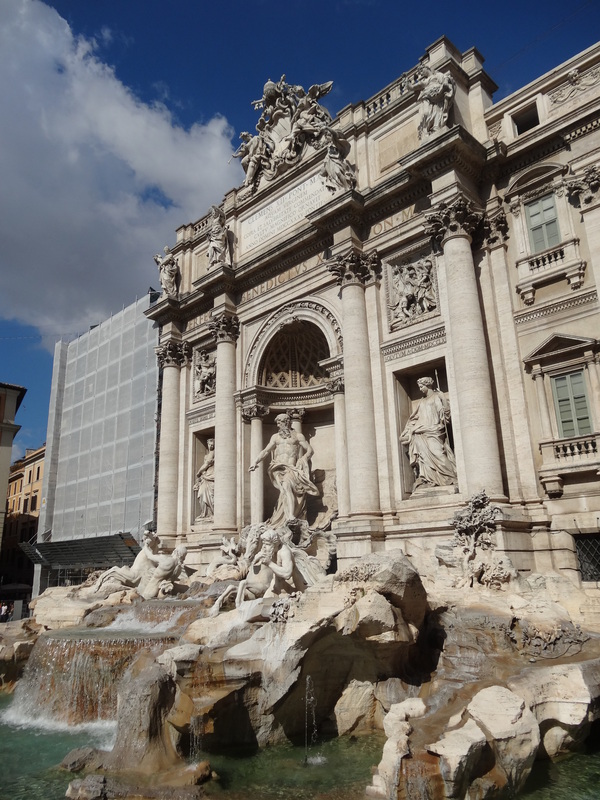 – Food in Rome is yummy! I am not so much of a fan of cream based pasta and thus food in Rome suits me real well with all its non-cream based food. One of the nice place where we ate was a restaurant called Fortunato al Pantheon and I highly recommend this place. However, avoid eating at the Italian restaurant right along the road that leads to St Peter’s Square (can’t remember the name). The service was really poor (waited half an hour before they attended to me to get my food order) and the food was not even fantastic! What’s worst is that when I passed a 100 euro bill for a 51 euro mean, the waiter has the guts to tell me that he will only return me 40 euros and the remaining 9 euros will be regarded as tips for him. I was telling him that service charge has already been included in the bill (and bearing in mind that unlike in the United States, there is no practice of tipping), he insisted that service charge is not tips and refused to give me back the 9 euros. As I was rushing for time to the go for my Vatican tour, I don’t have time to quibble with him and stormed out of the restaurant. Definitely not going back there ever again! So yet again, the carefree traveller was on the move to explore another great place. The grand canal of Venice was extremely serene and peaceful in the morning before the whole of Venice woke up. As I cruised down the grand canal towards the railway station with the nice breeze blowing on my face, I was overwhelmed by a mixed of lingering feelings for this charming water city on one hand and an excitement and anticipation for my next destination – Florence which has been called the Athens of the Middle Ages. The 2.5 hours train ride from Venice to Florence was pretty enjoyable. A chatty old couple from London sat beside me and was sharing with me all the wonderful places in Florence that I “must see”. To be frank, I have not done much research on Florence before embarking on this trip. My only “knowledge” of the city was that it has the famous Michelangelo’s David and many Italian brands like Prada, Gucci and Ferragamo have the “made in Florence” label, with my original intention of just loitering along the little town after seeing David. So what seems to be a casual conversation turned out to be pretty informative. As I walked to towards the city centre of Florence, the nice dome of Duomo (Santa Maria del Fiore) rose above the other buildings. Known as the “cradle of the Renaissance” with the historic centre declared as UNESCO World Heritage Site, the little city is pretty captivating, different in every way from Venice but yet has its own unique charm. The Campanile, the Baptistery (with its famous door and gates to paradise), the 14th century medieval walls, Ponte Vecchio (the old bridge with its elevated corridor filled with shops selling jewelleries linking Uffizi to Medici residence at Palazzo Pitti), Piazza della Repubblica (once the Roman Forum), Vasari Corridor, Loggia dei Lanzi (an open-air sculpture gallery) are amongst some of the famous sights in this quaint city. Right at the heart of the city is Piazza della Signoria with the famous Bartolomeo Ammanati’s Fountain of Neptune. 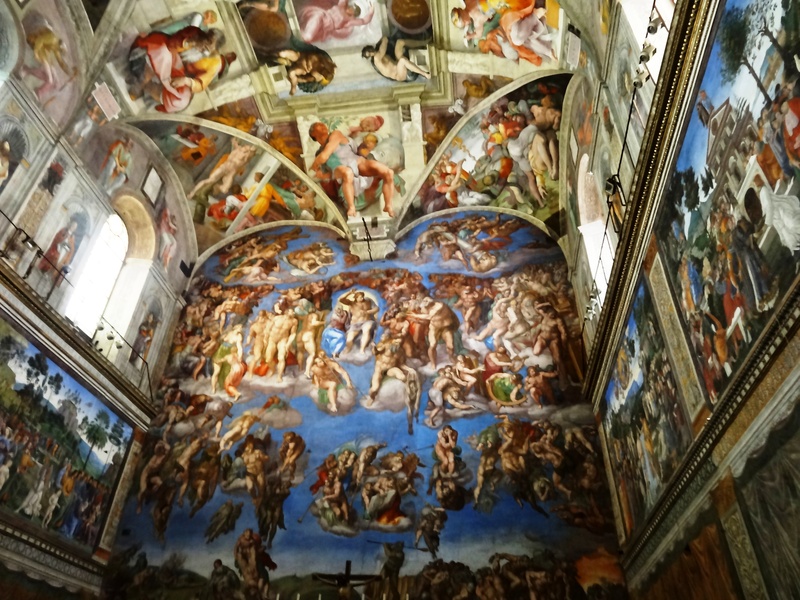 Of course, famous for its numerous museums and art galleries, of which Uffizi and Accademia (which houses the original David) are paradise for museums and art lovers. – There is always a long queue to buy tickets and get into Uffizi and Accademia (where Michelangelo’s David stands) so make sure you booked your ticket online to beat the queues. – If you are looking for leather goods, you are at the right place. Italy is well known for its leather goods and the Florentine leather market at Mercato Nuovo is one of the best place to get them. Alternatively, San Lorenzo Market around Piazza di San Lorenzo also has lots of handbags, leather jackets, belts, jewellery, gifts etc. – Just round the corner of the Duomo in the direction of Piazza della Signoria is the main shopping street of Florence where you can shop till you drop. If you into high end Italian fashion (big names like Gucci, Versace, Ferragamo, Armani), head to Via Tornabuoni and the only thing that will hold you back will be how much your wallet (or your credit cards) can take you lol. – If you are a true blue shopper and have the time, you can head out to the factory outlets which are outside of Florence. There are a couple of them depending on what you want to buy. For you are Prada & Miu Miu fan, head to the Prada’s Space factory outlet in the small town of Montevarchi. For a more variety of brands, there’s another outlet called “The Mall” at Valdarno area which has Armani Jeans, Bottega Veneta, Fendi, Gucci, Tod’s, YSL, Prada, Miss Sixties, etc. There’s also a D&G outlet very near to The Mall. One of my biggest regret is not having sufficient time to visit these outlets (or maybe this is a blessing in disguise as this saved me from pulling my hair off when I see my next month’s credit bills lol). – I love food in Florence. Do try their seafood pasta and Tuscany famous salami. – There are a couple of Michelin-starred restaurants and many other nice ones in Florence (actually in Italy as a whole as Italians really love to eat). I have tried one of the Michelin-starred restaurant Ora d’Aria at Via de’ Georgofili and love it. Service was great and food is superb so I highly recommend it! – Italians love ice-cream and so do I! An Italian friend recommended me to GROM in Milan which serves one of the best gelatos which I loved. There’s a GROM shop on Via del Campanile. If you just want a single scoop, you can ask them to mix for you 2 favours too. – You may have heard from many others that it may not be worth it to spend time to travel all the way to Pisa as “it only the leaning tower, etc”. Despite that, I still make my way to the little town of Pisa as I am the type that I must see all the “must-see” attractions if I am around the region. I thank God that I make this choice. Pisa is really wonderful, much more wonderful than I have expected it to be. The Piazza dei Miracoli (Square of Miracles) is miraculously beautiful. Entering from the side of the Duomo with the Leaning Tower of Pisa at the background, I just did not expect to see such a sight and gave out a loud “wow”. It’s hard to use words to describe and I will urge everyone to just make a trip there. Of course, it’s also fascinating to see people doing all the funny poses (I was one of them hahaha) but the thing about having a vacation is to have fun right? – For those who want to really “experience” the leaning tower, I suggest that you booked your ticket to climb the tower. It’s quite a few hundred steps climb, not a lot in numbers but it’s tough because of the leaning tower. I felt like my center of gravity is off and felt rather tipsy during my climb. But the climb to the top is worth it, with great view of the Square of Miracles, the Duomo and the little town. Do book your ticket in advance as there is a limitation to the number of people who can climb the tower in a day so as to conserve the tower and prevent it from leaning further (or at least to reduce the pace). – Do also visit the little Pisa town which many tourists often missed. The town is pretty nice with leaning buildings due to the softness of the land (and hence not just that the leaning tower is leaning). – The historic centre of Siena is one of the UNESCO World Heritage Site. For those familiar with Roman history, you will know of its legendary founder called Romulus who with his twin brother Remus were orphans raised and sucked by a she-wolf. Legend has it that Siena was founded by the son of Remus, Senius. Hence throughout the city, you can see statues and other artwork depicting a she-wolf suckling the young twins Romulus and Remus. – Do visit the Duomo which is one of the beautiful Italian Romanesque-Gothic architecture. You need to buy a ticket to enter but I think it’s worth the ticket price. There are many paintings each with a story to tell. I also love the town square (Piazza del Campo) which is shaped like a shell with Torre del Mangia which is famous for hosting the Palio horse race, which is a traditional medieval horse race around Campo twice a year. Also, do drop by Monte dei Paschi which is one of the oldest surviving bank in the world (and it’s still active today). – The small little medieval town of San Gimignano is also a nice day trip from Florence and can be done together with Siena. It is well-known for its tower houses set on the hilltop and is a UNESCO World Heritage Site. The walls of the town and the buildings therein are still well-preserved, showcasing Romanesque and Gothic archietecture. – There are many souveniers shops in this little town and I find the price here more reasonable than those in Florence. Why not take home a Pinocchio who was borned in the region of Tuscany (in a little town called Collodi) as a nice souvenier for your visit? Of the Italian cities that I have visited, I really love Venice. It is really so beautiful. Anyway, people always say that a picutre will speak more than a thousand words. So, here are the pictures which till now as I blogged, I am still going wow wow wow. The beautiful Rialto Bridge taken early in the morning. 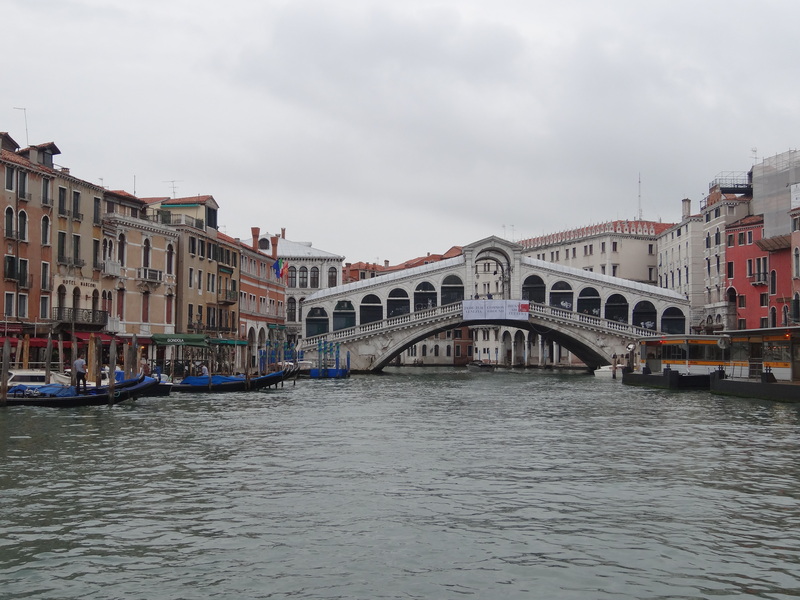 There are four bridges across the Grand Canal and this is one of them, and the oldest of them all. Ponte degli Scalzi which literally means “birdge of the barefoot”, one of the 4 bridges across Grand Canal. The famous Bridge of Signs. You will be able to walk ON it if you visit the Doge’s Palace. 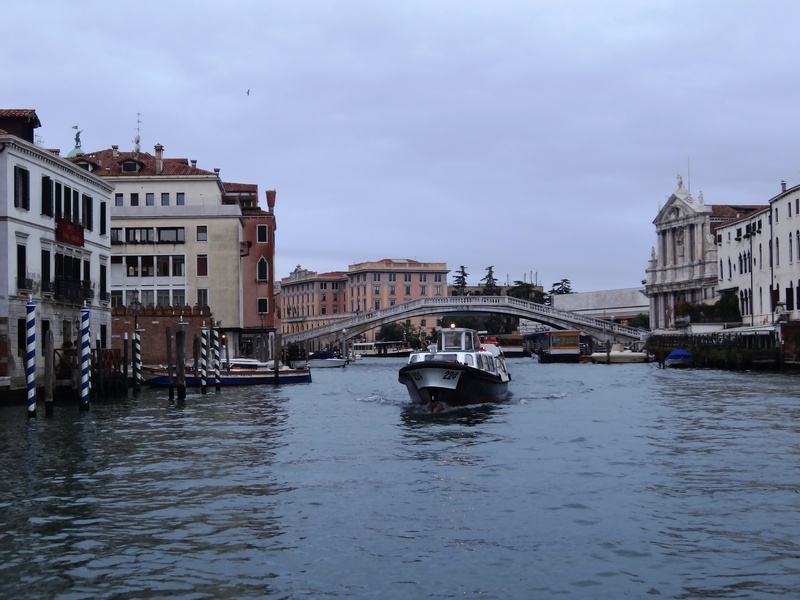 2) To get around Venice, the most economical way is by the water bus. There are a couple of different types of tickets ranging from a single trip, a 12 hours pass, a 24 hours pass and so on. If you buy the passes, you can hop on and off unlimited times during the 12 or 24 hours time frame. Make sure you validate your pass at the validation machine at the jetty. I find it useful as it is kind of “normal” to get lost in Venice. For me, I kind of enjoy getting lost and venturing to some unexpected places and of course unexpected shops. What gave me the comfort is that with the unlimited rides, whenever I was lost, I just have to keep walking to some waterbus stop and board the waterbus which will take me back to where I want to go. 3) With the unlimited rides pass, hope on to the waterbus which will take you through the Grand Canal and all round Venice. There are a couple of bus routes. Just check where your nearest busstop is and there’re maps of the routes there. I suggest that you hope on to anyone of them and let it take you one round. Just alight at any stop you want if you want to take some photos or walk around that area and then hope on to another waterbus. This will enable you to see much of the Grand Canal at the most economical way instead of joining those Grand Canal tours. 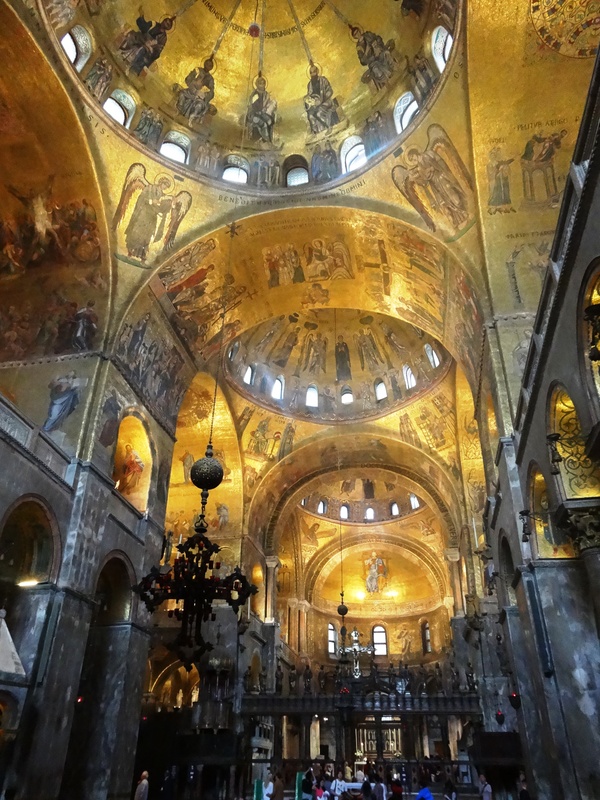 4) I strongly recommend that if you can, do stay at least a night in Venice. 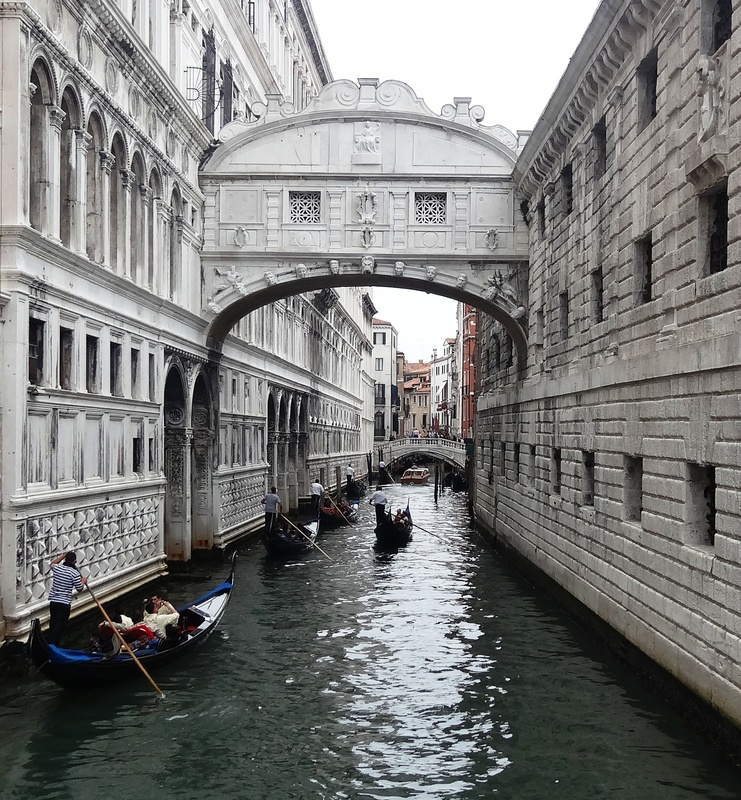 With that, you will be able to explore and wander around Venice or cruise along the Grand Canal during early morning or slightly later in the evening when there is less crowd. I really enjoyed my early morning cruise (around 7.15 am) down the serene and peaceful Grand Canal and taking in all the sights at their most blissful time. 5) Note on staying in Venice – Many hotels do not have elevators/lifts as they are mostly typical Venetian houses. So if you have accessibility issue, it will then be easier to find accomdation outside Venice. For those who are fine with steps, do note that the stairs can be pretty narrow so if you have a big luggage, make sure that you are able to handle carrying them up (and down) the stairs. 7) Like anyone who has been to Venice will tell you, if you want more reasonable price food, don’t dine at the restaurants along the canals or the main streets. Head off to one of the smaller streets at the back and the price will drop quite a fair bit. 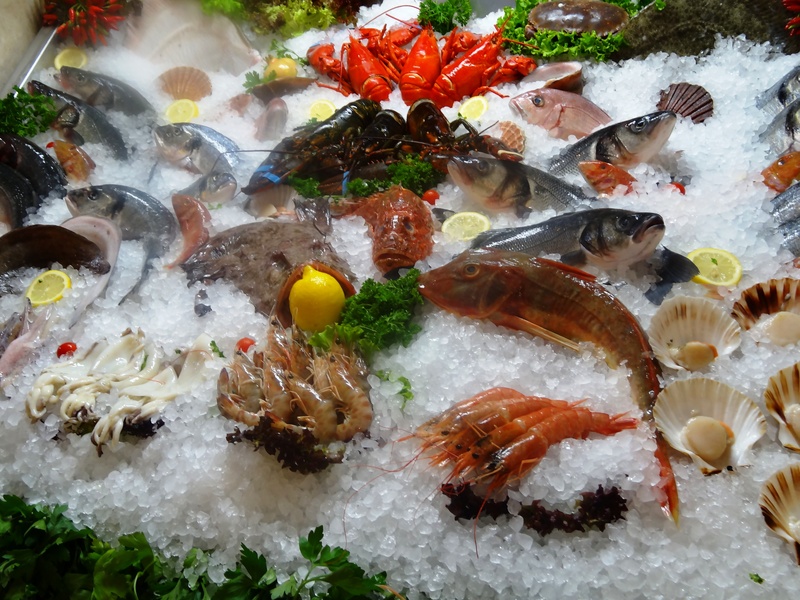 Oh yes, if you are a seafood fan (I am :)), Venice is one of the place to have nice seafood so indulge! 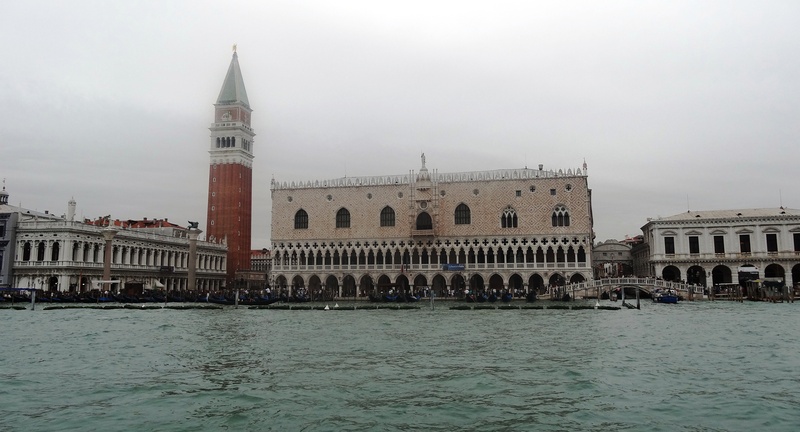 1) Just walk through the clock tower at San Marco Square and you will be in the luxury goods shopping district. 2) I know this is kind of touristy but if you want a special souvenir from Venice, I will surely recommend that you get a Venetian mask. Take note of the labels on the mask as a lot of the masks are now make in China. I know some people will say that many things nowadays are all made in China. Don’t get me wrong. I have nothing against China. But my personal view is that why do I need to travel all the way to Italy to get something made in China whereby it may be cheaper to get it directly from China itself. Also, some mask only state that they are “painted in Venice” which means that they are potentially not made in Italy. For masks made in Venice, there will be a certificate with the mask. Also, the modern masks are mostly made of plastic (especially those made in China mask) whilst the original Venetian masks are typically made of reinforced paper. 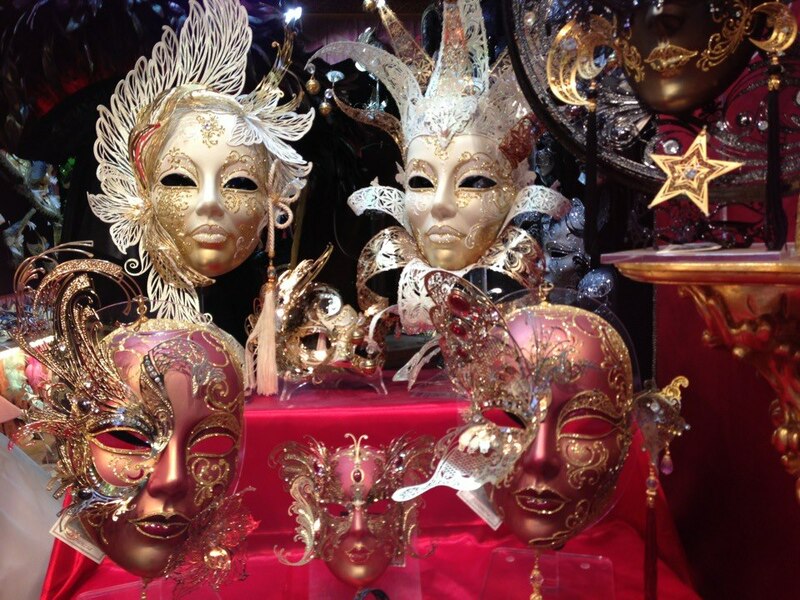 To get a better deal for authentic Venetian mask, try walking to the streets further away from the touristy areas. An impromptu decision and the carefree traveller went jet setting again, this time to Italy. 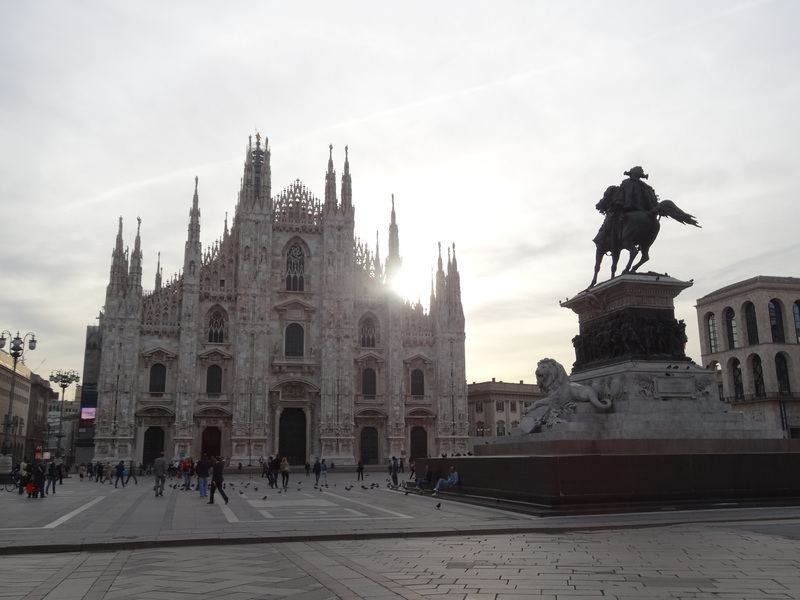 My first stop was Milan where a friend of more than twenty years awaited me. 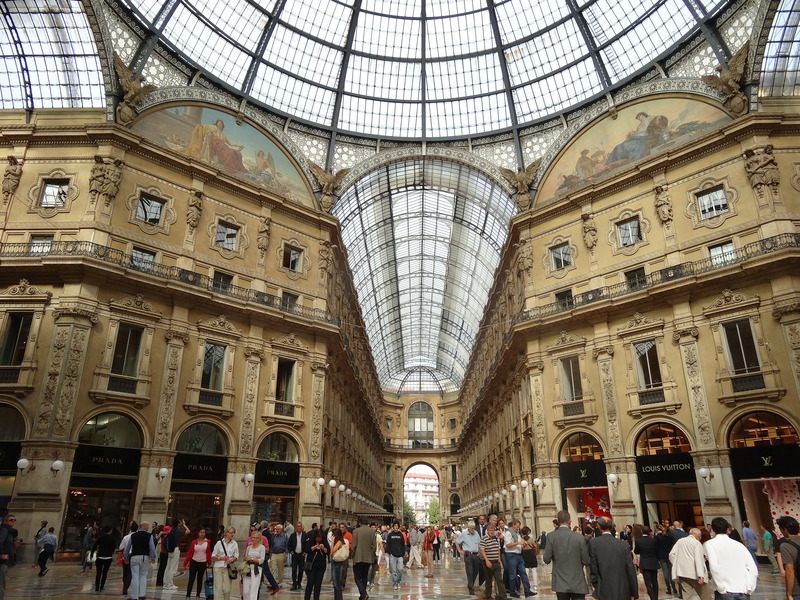 Milan, the city of fashion, is shoppers’ heaven. The super “atas” (Singlish for high end) shopping area at Galleria and also the fashion district at Via Monte Napoleone certainly can keep a shopper occupied and happy (forget all about the following month when the credit card bills come). But Milan is not just all about shopping. 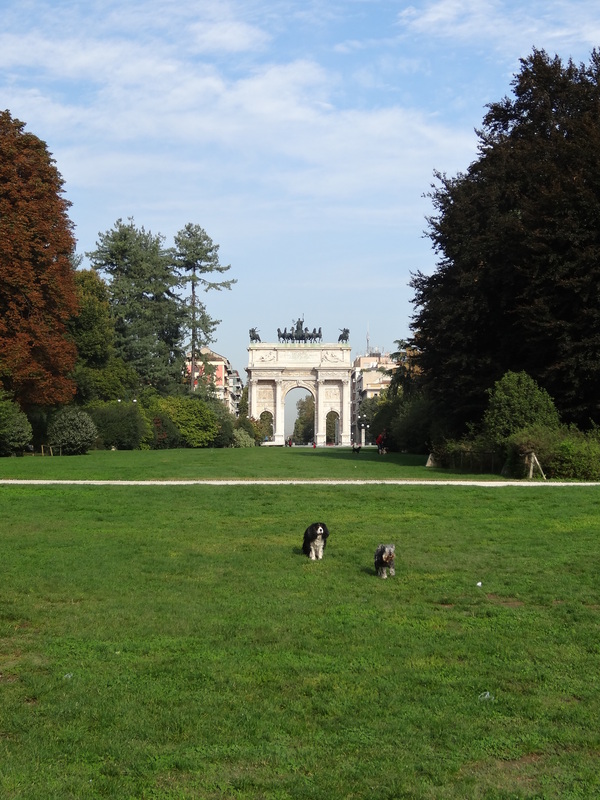 The famous Milan Duomo (1st picture on top), the Castello Sforzesco (picuture on top) and the Sempione Park with the Arch of Peace (see below), the town hall with Leonardo da Vinci statute, Colonne di san Lorenzo and the Triennale are amongst the must-see sights in Milan. Of course, if you are like me who just have to see the Leonardo’s Last Supper instead of in the books, this great masterpiece is located in Santa Maria dele Grazie which is just a short walk from the Duomo area (around 20 minutes). 1) Make sure you validate your train and any transportation tickets. The validation machine is located at the platform (usually either a yellow or green box). There’s hefty fine if you fail to validate the tickets. 2) to get from Malpensa airport to Milan city centre, the fastest way is to take the Malpensa Express. 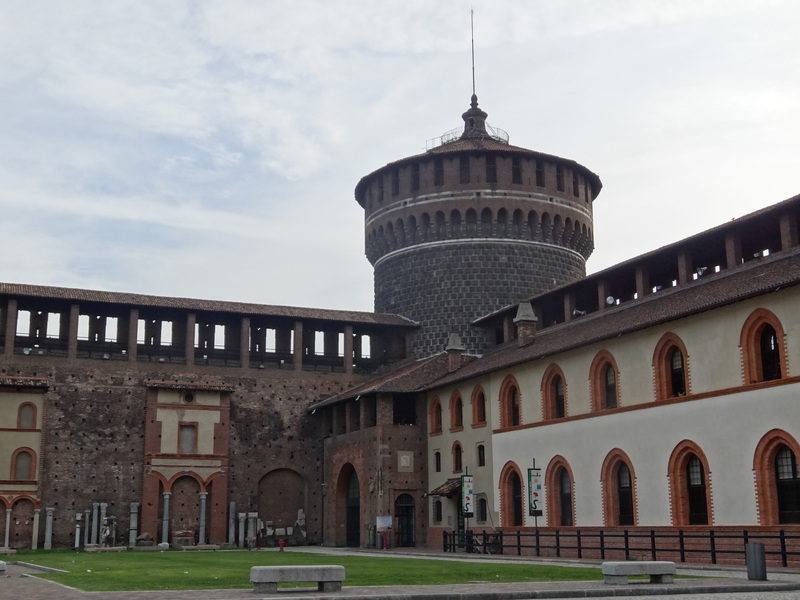 Note that there are 2 different lines to Milan city centre – one from Malpensa airport to Milan Central (which is the central train station) and the other from Malpensa airport to Cardona station. If you are going to Duomo or other main tourist sights, take the one going to Cardona which is closer and pretty much walkable to most sights (cost €11 per way). It takes slightly more than 30 minutes. The one to the Central station costs €10 and takes around 1 hour. Buy the tickets at the self vending machine or the ticket office and remember to validate your tickets at the platform! One more thing, there may be people there at the vending machine who wants to help you buy the tickets. DO NOT get them to do it as they are not the staff of Malpensa Express and will ask you for money for their services after they helped you. 3) The Duomo is really beautiful. However, take note of those African people standing in the square in front of the Duomo who tried to sell you (or what they will say give you for free) friendship bands. Remember, there is no free lunch. If they just pushed the bands to you or put the on your shoulders, make sure you throw the bands back to them else they will later chase you for money. Likewise, many people love to take photos with the pigeons. 4) To see The Last Supper, make sure you book the tickets at least 1 month in advance at http://www.vivaticket.it/index.php?nvpg[evento]&id_evento=298097&wms_op=cenacoloVinciano&SiteVersion=1 or you can try agencies like http://www.museumticketreservations.com/ing-booking.php?idMuseo=21. If you can’t manage to grab the tickets, there are also day tours that include this but it will be more expensive (but these tours also sold out fast so net, book early). The viewing of the Last Supper is restricted to 15 minutes at the allocated timing. Try to be there half an hour beforehand as they are pretty strict with the time and will not let you in if you miss your slot. 1) Food in the north and south usually differ in most countries. Similarly, in Italy, cream is largely available in the North but less so in the South. Hence, you will find food that have some cream in them in the North like Milan and Venice. If you don’t like cream, you can try asking for tomato based pasta or just tell them that you want cream in your food. 3) One thing I love about Italy is that the Italians love ice-cream! I can have yummy gelato (Italian for ice-cream) everyday. Life is such a bliss 🙂 If you see the brand “GROM”, do pop in to grab some gelato as it is one of the earliest gelato in Italy. I finally made it to Stockholm!